1354S- Steel, Polaris Outlaw 450, 500, 525 2006-11. 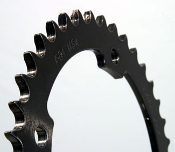 Our Products >> Steel Rear Sprockets, USA >> 1354S- Steel, Polaris Outlaw 450, 500, 525 with IRS. 2006-11. Steel Rear Sprockets, made in USA. * Select 38 Tooth Steel. 39 Tooth Steel. 40 Tooth Steel. 41 Tooth Steel. 42 Tooth Steel.